...you can see for miles and miles. Geological features like the massive Cape Uivak mark the entry to the Saglek Fjord. 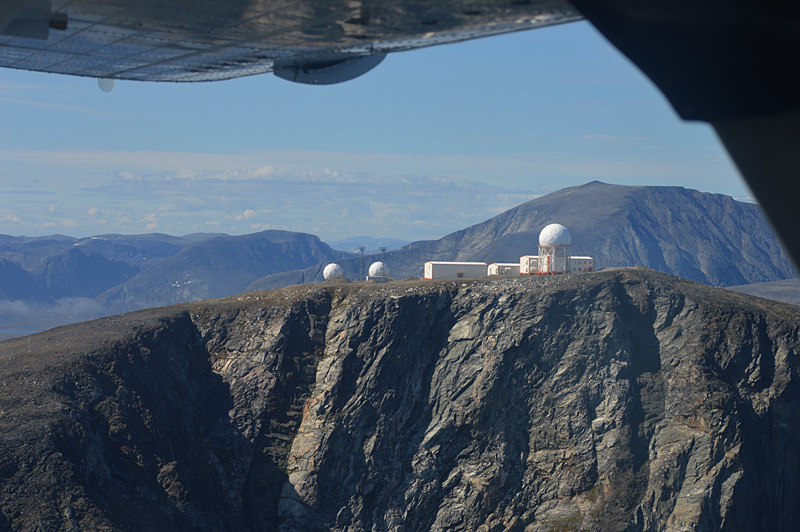 At 1,600-plus feet elevation, the Cape and its North Warning System dome are landmarks for navigation along the north Labrador coast and far inland. Thanks to Muriel Edmunds for the photo.